MMA designed and supplied a modern take on a traditional curtain wall system, providing an elegant green screen to an unsightly industrial complex in the Centre of England. 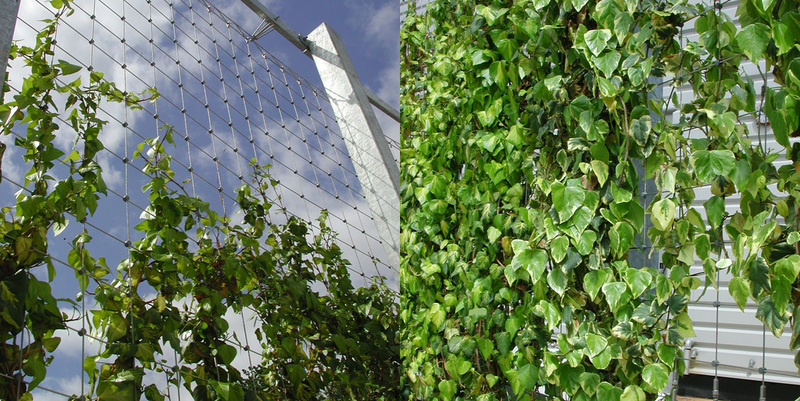 Featuring a network of Jakob cables and rods on a steel frame, the system supports the growth of a range of carefully selected plants, which provide an effective camouflage of the industrial units for the residents of nearby houses. The system comprises a series of horizontal rods which are attached to vertical ropes with cross clamps, to provide a robust, rigid construction capable of withstanding high wind forces. 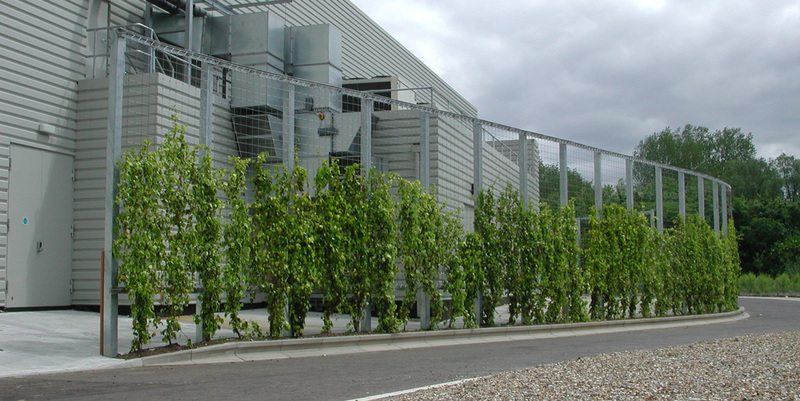 In applications such as this, the green wall system not only delivers great aesthetic benefits, but also other performance advantages, for instance providing a very effective barrier to dampen noise.